Shark have just released the Shark DuoClean Cordless Upright vacuum cleaner with powered lift-away. Bit of a mouthful, so what does that all mean and is it any good? 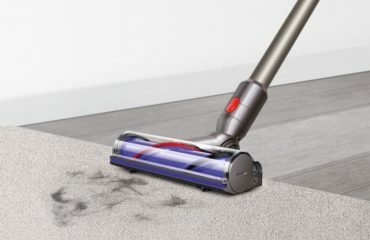 In this independent review, we aim to find out…I’ll also reveal how this powerful vacuum compares to GTech and Dyson. 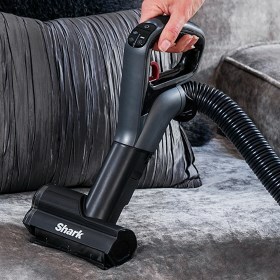 I’ve reviewed plenty of the Shark vacuums before, including other vacuums from the cordless range, the upright machines, their corded vacuums and the latest Shark AX Vacuums. I’ll be the first to say that compared to other makes, Shark have incredible technology. Duo-clean, powered lift-away and flexology are massively impressive and useful. What’s not impressive are the model numbers and understanding the differences. But that’s what I’m here for…So let’s dive in. 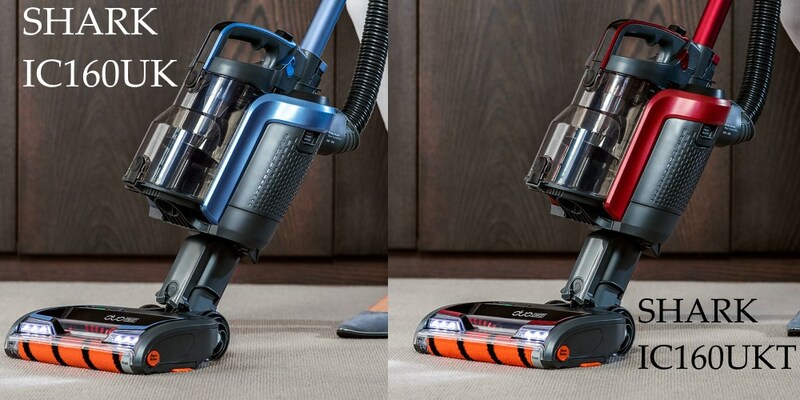 The 2 core features in all of the Shark vacuum range remains the same and for good reason. They offer superior cleaning options. The idea is simple; Two heads are better than one. Makes sense right? Two motorised brush heads are used to help disturb stubborn sediment and stuck on dirt, then lift it up for easy suction to the bin. You can see the two brushes in the video below. The first is a larger, thicker brush. 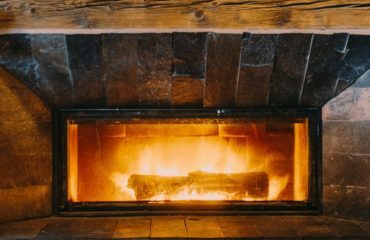 It will break up debris ground into your carpet and polish hard floors as it goes. The second is your traditional looking brush with bristles sticking out to scoop up debris ready to be sucked up more easily. Verdict: A powerful combination that works well 90% of the time. The only issue can be with hair getting stuck around the rollers, but that’s easily fixed with a par of scissors. 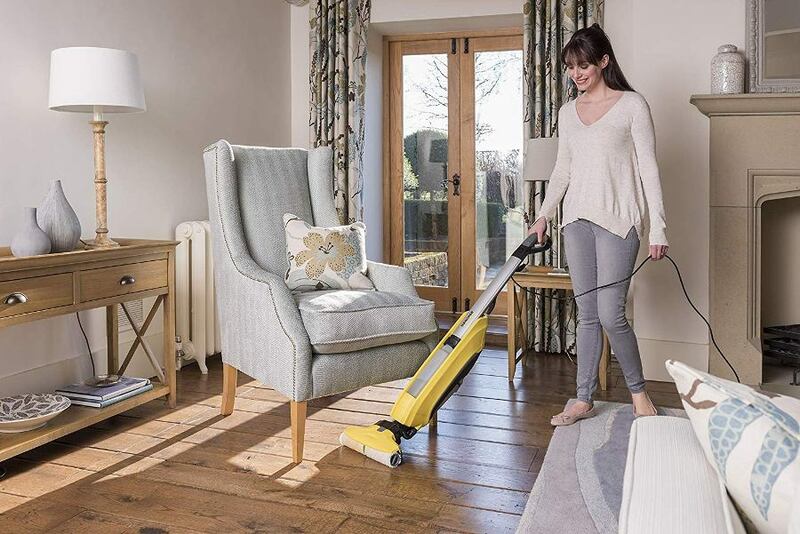 Powered lift-away effectively means you have two vacuums in one. It turns this upright into a hand-held hoover. 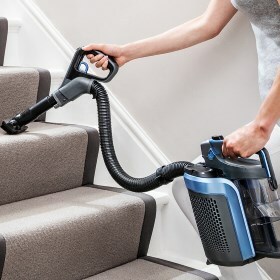 Ideal for use in the car, on stairs and those hard to reach high places which gather dust. It’s a smart idea and with the IC160 it’s lightweight, too. 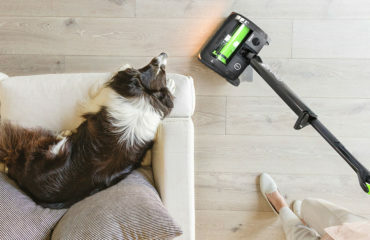 The main unit including the battery can be lifted away from the stick part of the vacuum, leaving the duo-clean head behind. You can attach various tools and attachments to the flexible hose and it works very well. Super versatile and simple to do. Verdict: Excellent for versatility. You can use it anywhere around the home, garage, car or in those hard to reach places. 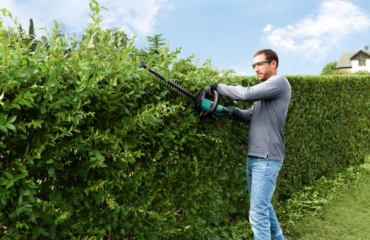 What is the motorised pet tool attachment? It’s called the TruePet on many of the other models. It’s a separate tool which has a head designed to pick-up pet hair. Handy for all you dog and cat owners. 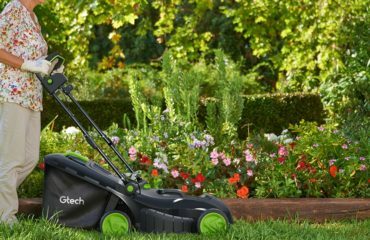 This motorised tool can be used in normal and lift-away modes, so it’s super transportable around your home. 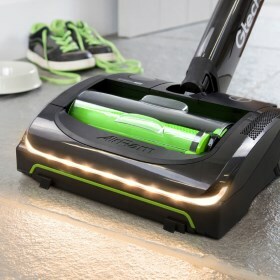 It’s perfect for cleaning the stairs or your pet’s mat or favourite sleeping place. It’ll help to pick up stuck on hair, but is also pretty decent at removing dried on dirt and mud. This only ships with the IC160UKT model. At the time of writing there was over £100 difference in price. 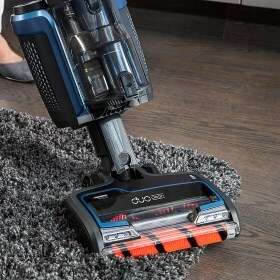 The power output from this vacuum is impressive for a cordless unit. It produces 260 Watts, which is 2.5 times more than the GTech range. The Dyson V8 Absolute has a reported 425 Watts! That’s impressive. Needless to say, they are all different and all work very well. The pick-up on the Shark is thorough, which I believe is improved by the duo-clean head. 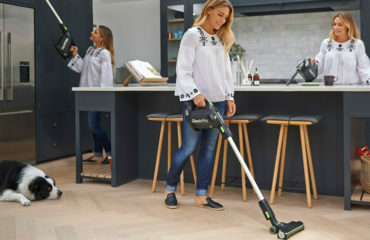 Cordless performance is coming on in leaps and bounds, but it’s not quite up to the same standard as corded vacuums just yet. 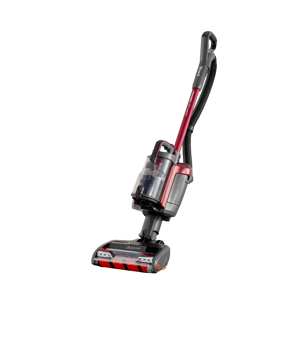 To give you an idea, the other corded Shark vacuums deliver around 750 Watts of power. This one produces 260 Watts. There is more to performance than just outright power. It’s how it uses that power which is important. The design of the Shark, Dyson and GTech are very different. 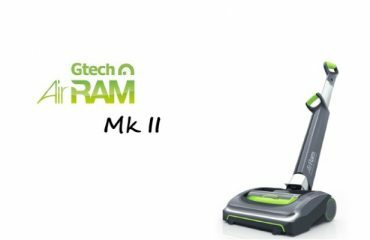 For example, the GTech AirRam Mk2 K9 might produce less power compared to the Shark, but the waste is collected right in the head of the GTech unit. 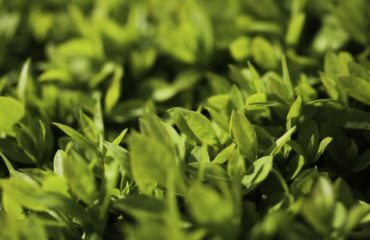 This means the dirt doesn’t have to travel as far and therefore requires less suction and less power. 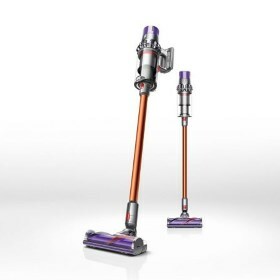 The Dyson is a futuristic looking, almost lego-toy-like machine. The Shark quite chunky with lots of technology and advanced features, while the GTech is sleeker looking. Undoubtedly there are differences in performance, but I’m confident that none of them are hugely better than the other in just performance measures. Where they are different is their versatility and ease of use. The Shark has lots of features, so is probably the most versatile. With the GTech Pro K9 a close second because that has a powered flexible hose now. 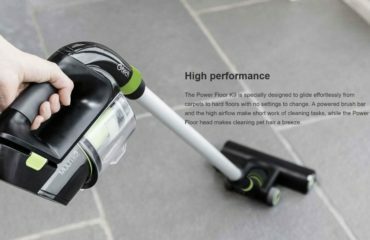 Dyson has a good reputation for quality and performance so their range will be equally impressive. What will you use it for the most? That’s the critical point here. First work out what your priorities are in terms of usage, then you can make an informed decision about which is the best for you. 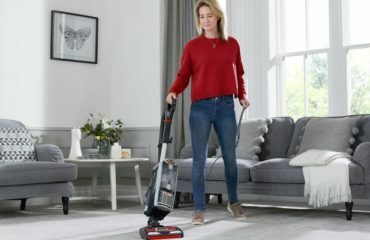 If you’re unsure whether this is the best vacuum cleaner for you, I have also written an expert guide to the best cordless vacuum cleaners, which goes into detail about the different kind of cordless vacuum cleaner available on the UK market right now. I would recommend having a read of that post before making a decision as it might sway you one way or another.